"odu de bun sempre in strike"
Hello, my name is Francesco Giorgi, born in 1995, I live in La Spezia, a small town located north-west of Italy. I go fishing in the sea basically every day, I have to thank my old man for passing this great passion to me, we spent lot of time fishing together. 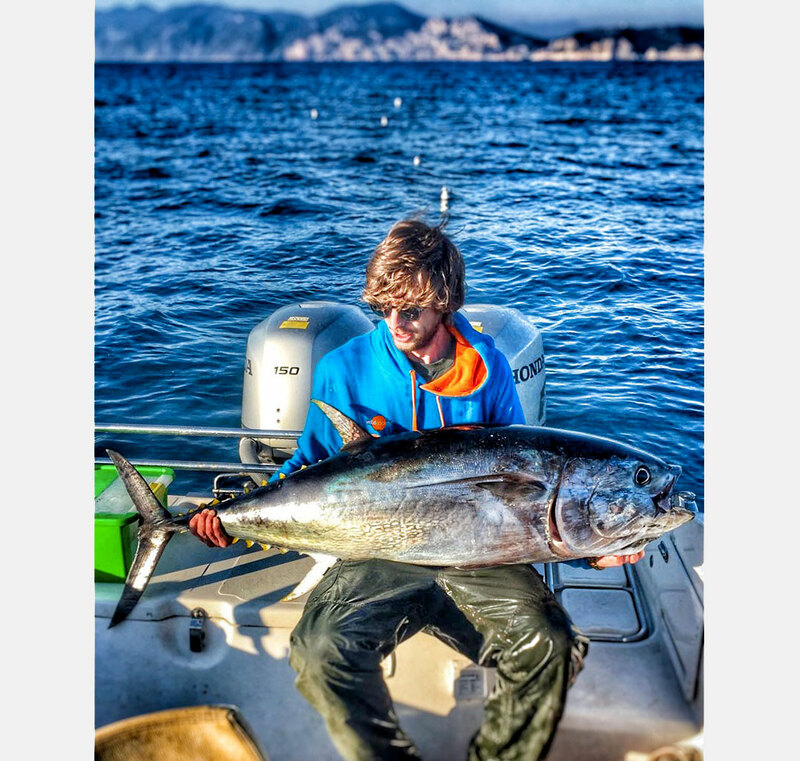 I love to practice a little all the techniques, from jigging to the coastal spinning, but my real love is drifting for bluefin tuna, a technique that I do practice most of the year and which provided me great satisfaction lately. Fishing has become, not only a passion so for me but a real lifestyle that accompanies me every day and that gives me irresistible desire to drop everything, and run the in the middle of the blue sea. I think that the reason that leads us to do this is not so much a wish to take the dream's fish but rather the desire to escape from everyday life to deal with every time a unique experience that only fishing can provide. I am also convinced that this sport is a means to raise awareness and can help find smart solutions to safeguard our imagination "playground" ... nature.